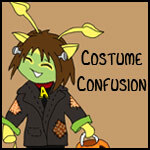 So, I'm guessing you wanted to go trick-or-treating for Halloween, and let me guess, you went! It's sad, though. Most people when they go trick-or-treating forget the safety precautions they're supposed to take. If you did - great! But I bet most of you reading this didn't. So, here are ten safety precautions. You're probably saying "ten?! ", but trust me. There was a lot more and this sums it up - hopefully. 1. Go with your owner or friends. You may think that going with your owner is dorky, but think of all the dangers lurking outside your Neohome at night. There are scary things out there. Trust me. If you still think it's dorky going with your owner, ask to go with friends. Note how I said “friends”, not “a friend”; the more of you the better. Less likely something will happen to you. Go in groups of four or more just in case. I’d really recommend going with your owner, though; I mean it’s much safer that way, and although maybe not as fun as going with your friends, it’s still pretty fun. 2. Make sure you know who lives at the houses you go to. Just think of A Halloween Story, those young Neopets vanished because they trusted a stranger, went inside the stranger’s house, and they were being mean to younger Neopets. Never trust a stranger. Listen to your owner. Only go to safe houses that are approved by your guardian. I can't sum it up more than that. So, let's get to the next one. 3. Don't be naughty to other Neopets. If you're rude to Neopets younger than you, chances are you're going to get karma kicking you in the face. If you don't want to be treated like that while trick-or-treating don't do it to the young ones. There are plenty of rude people out there that will do the same to you. So, don’t chose “trick” over “treat”! 4. Wear bright colours rather than dark. If you wear neon colours, it's easier to see you rather than if you wore black. Why would somebody have the need to see you? It's simple enough; if you get lost, how would anyone find you? Your owner needs to be able to see you. I mean, if you have three other siblings, and you are wearing black, while the others wear orange, yellow, and green, who's going to notice if somebody takes you away from your family? Exactly. Nobody, until it gets dark and you can’t see anyways, so it’s impossible to find you until morning and who knows what will happen between night and morning? 5. Don't stay out too late. I cannot say much for this. The whole precaution basically sums it up. Leave your house early, and go home once it starts to get really dark. Why? You can get easily lost. A lot of the precautions are about being careful so you don't get lost, but this one is about more than just that. I can't explain it all. So remember, unless you want something bad to happen to you, don't stay out too late! 6. Don't go into anybody's house. Oh, look! It's the nice old lady across the street! Let's go to her house for some candy! Look, she invited us inside! We should go in! One-by-one, we start disappearing! That's so fun, right? No. Don't go into the house at all without permission from your guardian. I would suggest not even going into anybody’s houses, though. Even if your guardian gives you permission, it’s still very risky. So what if it’s your friend’s house? Anything can happen; remember that! 7. Before eating, have your guardian check the candy. You never know; maybe they went to Edna to buy their Halloween candy. Let the guardians check the candy, make sure they find nothing wrong with it, then eat it! You still get the candy, right? You just have to wait a little longer. There’s not a lot to say for this, seeing as it explains itself. 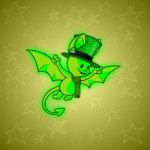 You see, there are a lot of nice Neopets out there that just can’t wait to give others tasty candy on Halloween night, but there are a lot of mean Neopets too that just can’t wait to trick other Neopets into eating candy that isn’t really candy. So ask somebody, preferably your owner to check your candy before you eat it. 8. Stay away from the Haunted Woods. Haunted Woods is known for being scary, right? So, imagine it on Halloween. It'd be even scarier! There will be a lot of ghosts and ghouls out, scary creatures, and a lot of things you wouldn't want to run into. So stay on the safe side and don't go near the Haunted Woods. 9. If going to Terror Mountain, dress warmly. It's very cold up there, right? Especially closer to winter. It's fall and it's sure to be freezing! You don't want to get stuck there frozen, until somebody comes by to warm you up! I mean, what if nobody ever comes by? Uh-oh. Trouble. 10. Keep a Pant Devil Attractor on you at all times. It's tiring walking around for candy. Especially since you have to keep looking behind you in case somebody decides to come at you. So, you have a bunch of candy that took hard work to get, and then the Pant Devil comes out of nowhere! He steals your candy, right?! No! He steals your Pant Devil Attractor because you're smart enough to have one. Remember, better safe than sorry. So, you see, for Halloween you have to take a lot of precautions, and a lot of you probably didn't take them. It's very easy to get hurt, lost, or lose your candy. So remember, kids, stay safe! I hope I summed it up enough for all of you. But, if you need it summed up some more, then stay with a guardian and listen to them, and be careful. There's not much more to say on this subject, so bye for now!